I feel embarrassed every time I buy pads for my bladder leaks. Any suggestions? Please know that you are not alone. One in three women experiences leaks. 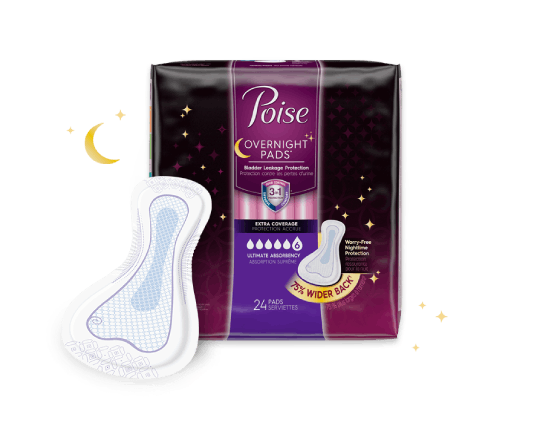 Much like purchasing other personal feminine care items, it helps to practice self-acceptance. Give yourself the same encouragement you'd give a dear girlfriend. 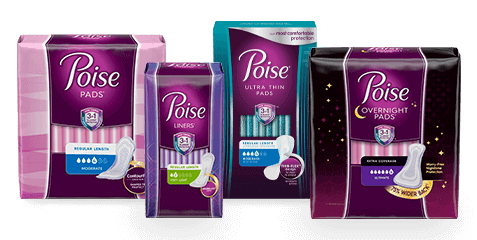 However, you may prefer to order pads online. We have a helpful online locator. Simply select the pad you're looking for and both a "store locator" and a "find online" button will also appear for you. When you press it, you will be given a choice of online retailers with "buy now" buttons for your convenience. What's going on in my body when I have a hot flash? There are days that I can go without any leakage and then suddenly, it becomes quite bothersome. Why is that?